How long has the Derby been in Louisville? “The most exciting two minutes in sports” has been running in Louisville since 1875! It has been held annually at Churchill Downs ever since on the first Saturday in May. The first Kentucky Oaks – a race just for the fillies – was inaugurated that same year, just two days after the first Derby. NULU is short for “New Lou.” This new, hip neighborhood is on East Market Street in Downtown Louisville. It’s full of great restaurants, bars and local businesses such as art galleries, interior design shops and clothing boutiques. Find the latest and greatest list of businesses at www.nulu.org. How many Bourbon distilleries are in Louisville? As of Spring 2017, there are five bourbon distilleries open for touring within Louisville’s city limits. 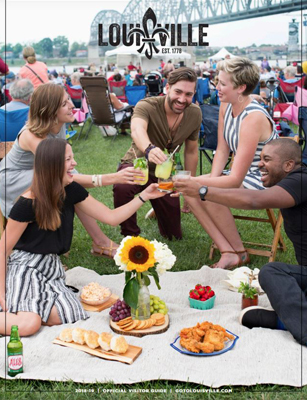 These are the Evan Williams Bourbon Experience, Kentucky Peerless Distilling, Bulleit Experience at Stitzel-Weller, Angel’s Envy and the Jim Beam Urban Stillhouse. There is also a brandy distillery called Copper & Kings that is definitely worth a visit! Still in the works are Rabbit Hole Distillery, Old Forester, and Michter’s. Coming soon! Who is part of the Urban Bourbon Experience? The Urban Bourbon Experience consists of all of the aforementioned distilleries in Louisville and the Urban Bourbon Trail “stops”, a collection of 36 different bars and restaurants that are sure to show you a fun, informative and delicious experience of the “Bourbon culture” in Louisville! You can pick up your Urban Bourbon Trail passport at the Louisville Visitor Center at 301 South 4th Street. Get 6 stamps and you can redeem your passport for a free t-shirt! What is this “hot brown” I’ve heard of? An open-faced turkey and mornay sauce-slathered sandwich invented by the historic Brown Hotel in Downtown Louisville. While many restaurants have their own variation of the Hot Brown, you can only find the original at one of the Brown Hotel’s restaurants: J. Graham’s Café or the English Grille. How can I experience Muhammad Ali’s Louisville? A visit to the Muhammad Ali Center is a must on your trip to Louisville. You can also experience “Ali’s Louisville” by taking a self-guided tour to the Muhammad Ali Center, Ali’s Childhood Home, Columbia Auditorium and Cave Hill Cemetery. You can find a brochure for that tour here. If I’m seeking adventure, what should I do on my trip? Were the cheeseburger and high five really invented here? Yes and yes! And the Happy Birthday song too! What is the city’s official cocktail? It all began at the Pendennis Club, a private club still in operation in Louisville. Legend has it that a guest at the bar ordered a cocktail, but warned the bartender that he wasn’t a fan of bourbon. Not wanting to serve a non-bourbon drink in the Bluegrass (it is Bourbon Country, after all), the bartender concocted a drink that ended up being a huge hit with the customer. And though similar versions were possibly being mixed in the same time period, the now traditional bourbon cocktail is said to have been popularized by Pendennis club member and master distiller, Colonel James E. Pepper, who introduced the cocktail to the Waldorf Astoria Hotel in New York City. It was also the first documented proof of a recipe being called the “Old Fashioned” versus any drink made in the “old-fashioned way” which was mixing spirits with sweetener and fruit. Louisville laid claim to this spirited history in 2015 when the city’s Mayor proclaimed the Old Fashioned “Louisville’s Official Cocktail”. 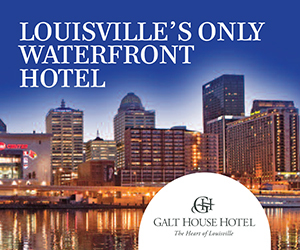 Each year, for the first two weeks of June, Louisville celebrates Old Fashioned Fortnight which encompasses bourbon events, cocktail specials and National Bourbon Day on June 14th. Quench your thirst by ordering up an Old-Fashioned at any of the 30 + restaurants and bars along Louisville’s Urban Bourbon Trail. Mix sugar, water and Angostura bitters in an Old Fashioned glass. Drop in a cherry and an orange wedge. Muddle into a paste using a muddler or the back of a spoon. Pour in bourbon, fill with ice cubes, stir and enjoy.